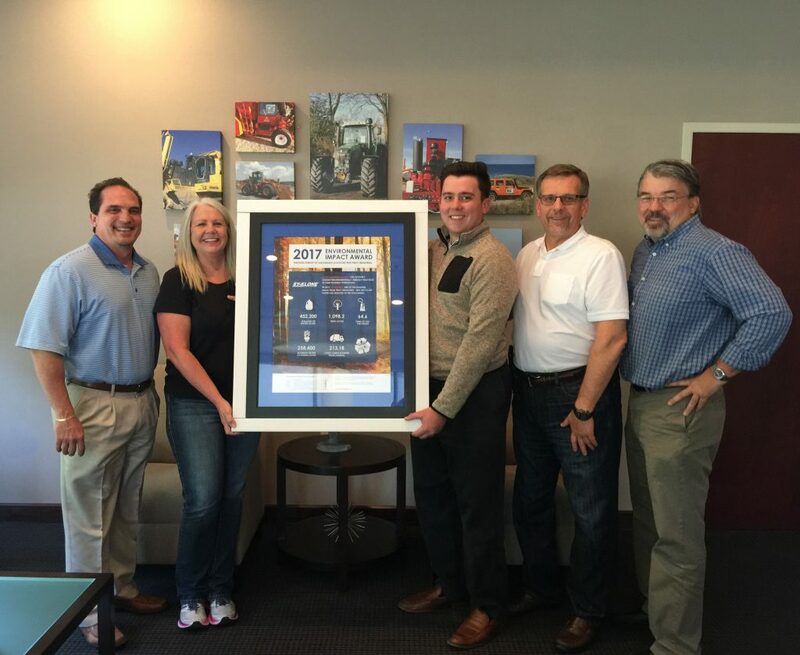 Jacksonville, April 13, 2018 — Sy-Klone International, a worldwide leader in the design and production of precleaning systems (powered and non-powered) used on HVAC units and engines, has received an Environmental Impact Award from Pratt Industries for using 100% recycled packaging boxes and creating a positive impact on our global environment. 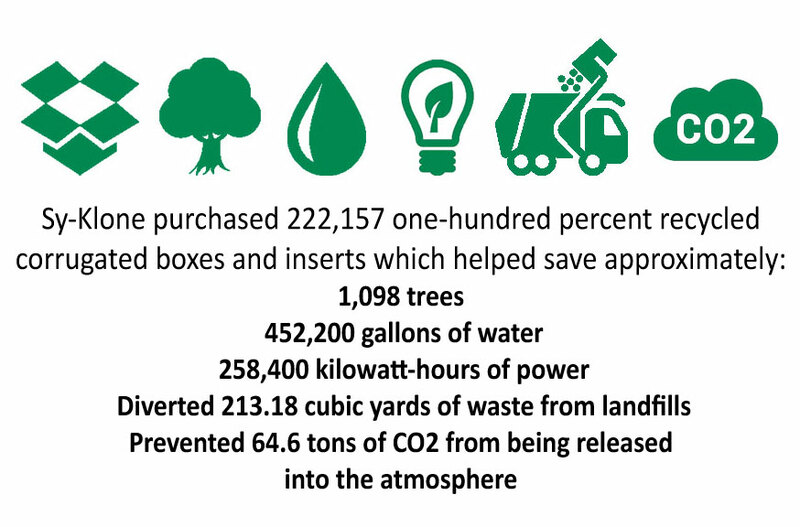 During 2017, Sy-Klone International purchased nearly 222,157 one-hundred percent recycled corrugated boxes and inserts from Pratt Industries helping save approximately 1,098 trees, 452,200 gallons of water, and 258,400 kilowatt-hours of power. Sy-Klone was also able to divert 213.18 cubic yards of waste from landfills and prevented 64.6 tons of CO2 from being released into the atmosphere. Similar to the process for glass recycling, Pratt Industries utilizes a closed-loop system, creating no additional waste or by-products. Additionally, Sy-Klone International, as part of its efforts, employs the use of recyclable containers and pallets to reduce waste and to protect the environment. The ceremony for the Environmental Impact Award took place at Sy-Klone International’s World Headquarters on April 9, 2018. Pratt presented the team with a commemorative plaque that is now prominently displayed in Sy-Klone’s lobby for all to see. For more information about Sy-Klone International’s products, visit www.sy-klone.com.